Expense – You can never predict when you might require the assistance of a tow truck. At any time while driving, your vehicle could malfunction, rendering it either unsafe to drive, or unable to do so. This would require you to obtain towing services. If you are many miles away from your auto mechanic, or even out of town, the cost of having your vehicle towed can prove to be quite expensive. By adding towing services to your auto insurance policy ahead of time, you could simply contact your insurance company and they will find out your location and dispatch and pay for a tow truck. 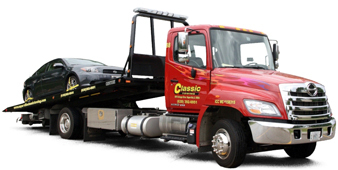 Peace of mind – While highly unlikely, it is possible that you will never require the services of a tow truck. Regardless of whether you ever actually need towing services, if you have towing insurance policy, you will have greater peace of mind. You may be otherwise leery of traveling a long distance, but knowing that you could quickly and easily have a tow truck dispatched to you in the event of an emergency can make you feel safer. You wouldn’t have to become stressed-out by attempting to find a tow truck company in an unfamiliar town, as your insurance company would take care of everything for you. Savings on other services – If you opt for roadside service through one of the many popular companies, then you will reap other benefits in addition to towing services, when needed. Many will offer discounts on hotels, car rentals, amusement parks and much more. This is a definite perk that might make you consider purchasing a particular company’s roadside service plan. Adding towing insurance to your car insurance plan is a smart idea. It can save you a great deal of money should you ever require towing services, especially if you’re a long way away from home when your emergency occurs.